Maybe it's because I was born a couple of months after Woodstock and wasn't around when marijuana was as common as iPods are today, but I'm constantly amazed that after all these years--and all the wars on drugs and all the public-service announcements--nearly 15 million Americans still use marijuana at least once a month. 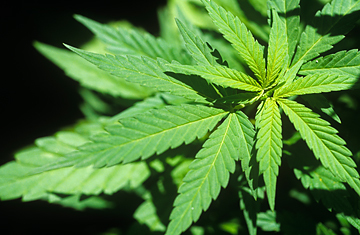 California and 10 other states have already decriminalized marijuana for medical use. Now two of those states--Colorado and Nevada--are considering ballot initiatives that would legalize up to an ounce of pot for personal use by people 21 and older, whether or not there is a medical need. The first is that marijuana isn't really very good for you. True, there are health benefits for some patients. Several recent studies, including a new one from the Scripps Research Institute, show that THC, the chemical in marijuana responsible for the high, can help slow the progress of Alzheimer's disease. (In fact, it seems to block the formation of disease-causing plaques better than several mainstream drugs.) Other studies have shown THC to be a very effective antinausea treatment for people--cancer patients undergoing chemotherapy, for example--for whom conventional medications aren't working. And medical cannabis has shown promise relieving pain in patients with multiple sclerosis and reducing intraocular pressure in glaucoma patients. See Sanjay Gupta's column Fit Nation.